With Memorial Day come and gone, we can call this summertime, don’t you think? After all, we have strawberries and crumbles, cherries and ice cream, and that’s a pretty solid start, if you ask me. I think this the perfect moment to encourage all of you to head out and pick up a copy of Yvette Van Boven’s Home Made Summer. It’s a gem of a book. I have cooked and stirred and baked my way through so many of its recipes in the approximately one month I’ve had it. I know many people who struggle to cook through their cookbooks, and I completely understand the reasons why, but this is my way. When I stumble upon a book that inspires me at every turn, I plow through with unbridled enthusiasm, finishing one recipe only to discover another that had not caught my eye before, or to realize that cherries are now in season, meaning I can try the cherry and pink peppercorn sauce that has called to me for weeks. I’ve made, to name a few favorites, gorgeous loaves of fougasse, potatoes with sauce gribiche, flavorful savory cakes, a pretty green soup with horseradish and garlic hangop, crumbly cake with berries and coconut, Yvette’s ultimate puffy pancakes and several batches of Pimm’s cup. But it’s not just the recipes. With the number of cookbooks out in the world, and the proliferation of recipes not only in books but also here on the Internet, I value author voices all the more. Yvette’s comes through with charm, warmth and plenty of whimsy, encouraging us into the kitchen, reminding us not to take ourselves too seriously, guiding us with a belief in our abilities—a belief that we can, indeed, make these recipes. Having met Yvette and her husband Oof (who also happens to be the book’s photographer) at a party my friend Erin threw on her idyllic forest-enclosed patio, I can attest to the authenticity of that voice. She really is that lovely. The book touches upon Yvette’s life in Amsterdam and Paris as well as the summers she and Oof spend in Provence. I am utterly charmed by the characters and experiences she describes: Old Georges who fits bottles over apple and pear blossoms to capture fruits he will convert into liquors, who quietly leaves handfuls of apricots on Yvette and Oof’s breakfast table in the early morning as he bikes through the orchards while they sleep. Vibrant feasts and celebrations played out in the streets, reminiscent of the months I spent in Spain. Homemade spirits and huge pots of moules frites—which happen to be one of my very Dutch husband’s favorite things to eat. Oof’s bright, playful photographs (alongside Yvette’s equally playful drawings) depict food, festive gatherings and cheerful friends and family who all seem to be living with gusto, which I do believe is the way everyone ought to live. It’s certainly enough to convince me: I would like to join them in Provence for the summer, if not move in completely. Instead, I will happily make do with lemongrass cake and the other wonders of Yvette’s imagination set within the covers of this book, dreaming of the day I’ll make it to Provence, and the day I’ll make it to Yvette’s restaurant in Amsterdam … but meanwhile quite thankful for the summertime I’ll have right here in my very own lovely life. And this cake? It is far from a sad consolation prize. I can tell you this because I’ve made it three times already. 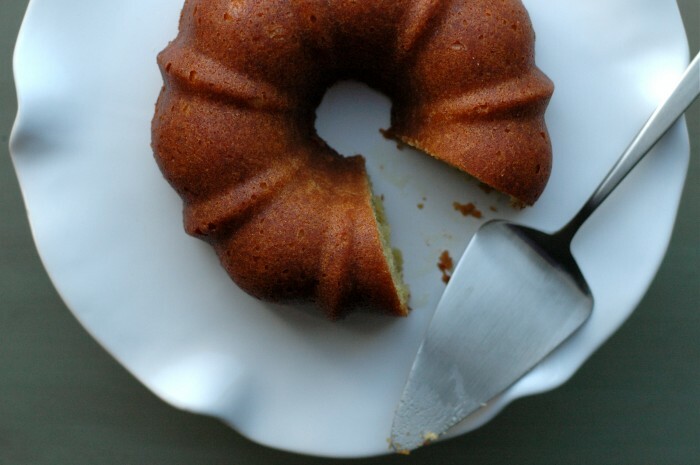 The summery thing about it is that Yvette drenches the finished cake in a lemongrass syrup—which, with its bright, citrus flavor, is a perfect taste for summer—and she explained to me that this keeps the cake moist through dry Mediterranean summers. It’s true: with only a bit of plastic wrap to cover, it can sit happily on your counter for several days, though I don’t imagine it will last that long. I adjusted the ingredient list slightly to account for the fact that self-rising flour, which Yvette calls for, isn’t something I always have on hand. I also added a bit of white whole wheat to the mix and tweaked the flours to reflect volume/weight conversions more familiar to me. 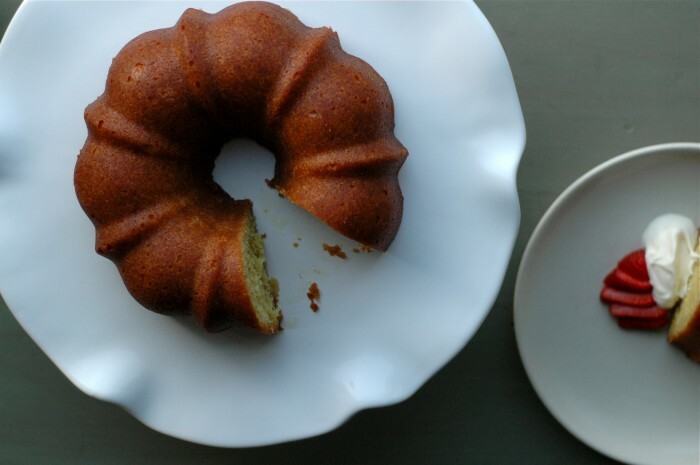 This cake has more butter and sugar than most you’ll see coming out of my kitchen, but it’s summer, friends, so at least when we celebrate, let’s not hold back! If you’d like to make this a bit more healthy, though, I imagine you could reduce the sugar in the syrup, and perhaps (slightly) decrease the butter in the cake. The ratios are pretty perfect, though, so amend with caution. As noted, the syrup keeps this cake wonderfully moist. Covered with plastic, it will save for several days on the countertop. First, make the cake. Preheat the oven to 350 degrees. 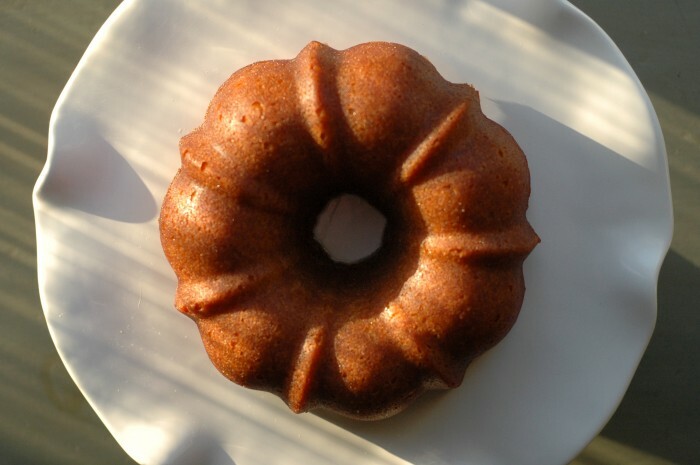 Grease a half-size Bundt pan (6 cup capacity when measured to the brim; bakeable capacity about 4 cups) or other small cake pan (an 8-inch round works nicely). Sift the flours, baking powder and salt into a small bowl. In a large bowl, beat the butter and sugar until creamy and white. Add the eggs one at a time, beating after each addition, then beat in the lemon zest. Add the dry ingredients in two or three parts, mixing until well combined. 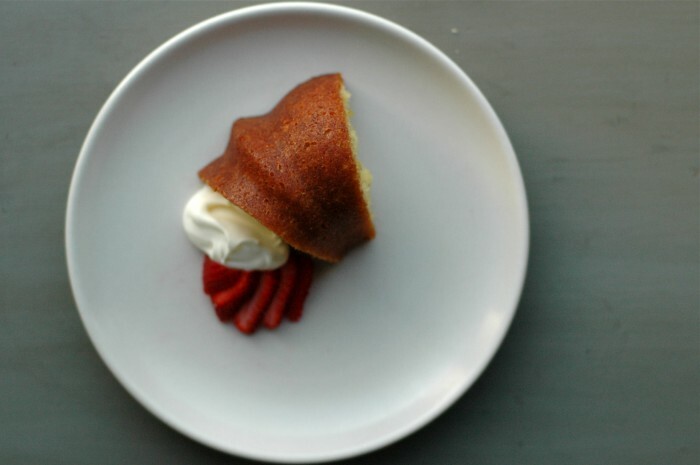 Pour the batter into the prepared cake pan and bake for 35 to 40 minutes, until the cake is lightly brown and a tester inserted in its center comes out clean. 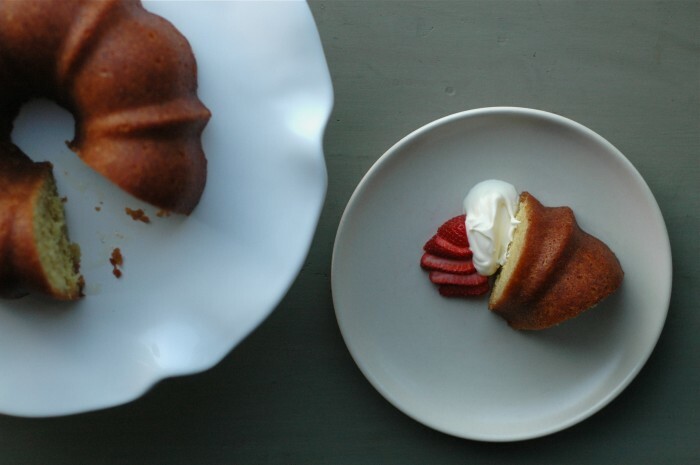 Let the cake cool for 5 minutes, then invert it onto a rack to cool further. While the cake is baking, make the syrup. 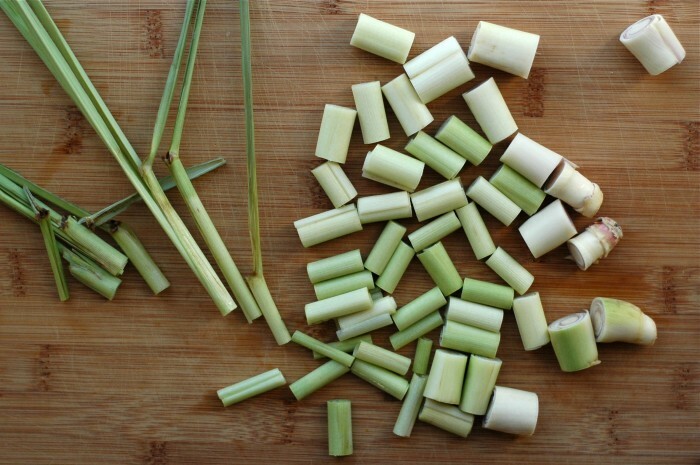 In a small saucepan over medium-high heat, bring 3/4 cup water, the sugar and the lemongrass to a simmer. Reduce the heat to low and simmer very gently for about 20 minutes. 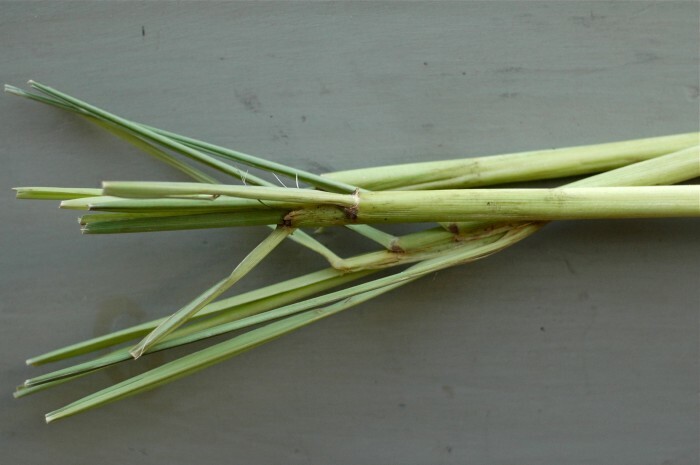 Strain the syrup into a pitcher and discard the lemongrass. Pour one third of the syrup over the cake just after you’ve removed it from the pan. Let it soak in. Take your time pouring the remaining syrup over the cake, spooning it over top and letting it soak in completely before repeating. (Yvette suggests a splash every time you walk by, which is quite the charming instruction.) Continue until all of the syrup is absorbed. Store the cake at room temperature, covered with plastic wrap. Your enthusiasm for this book has made me head over and order a copy for myself. It sounds wonderful. This cake sounds like a real gem too. This sounds like a fabulous, fabulous cake. The only question is, how can I possibly bake in this heat?! It’s been 95 degrees + for 3 days in Cambridge MA! Well, supposedly the heat wave will break on Monday, so perhaps then. Great point about the value of a single voice, and a single option. There is definitely the “paradox of choice” with cooking, wherein there’s so much abundance it’s hard to choose. I’m going to dig out a lovely seasonal cookbook and look in the June chapter tonight! Thanks for the inspiration.